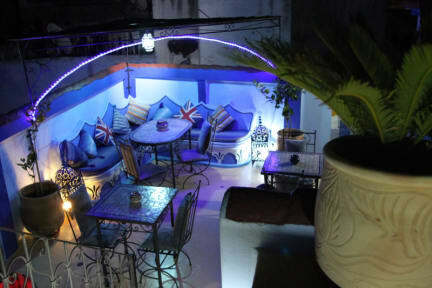 Riad Baraka Hostel by Backpackers for Backpackers. Our Hostel is set in a 600 yr old house restored by local craftsmen into a comfortable stylish space. The hostel is designed around its communal spaces both inside and out- plenty of space to meet people or just read a book! 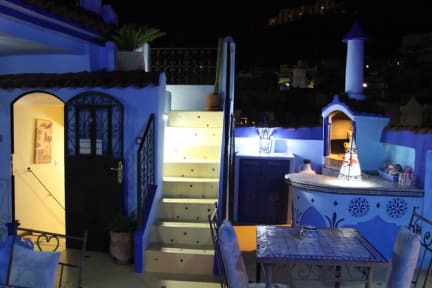 The Baraka rooms are immaculately clean and bright and we also have Chaouen's best rooftop terrace with a 360 view! WIFI works in all rooms and communal areas. CCTV in all public areas. Secure premises with safe boxes in all rooms. PLEASE bring your own LOCK to secure your room/locker. Taxi shuttle to famous God's Bridge. Local Tour Guide for hire. Be sure to always travel with a lock. Not just here but every place you stay. PLEASE DO NOT take the late night bus from FEZ we are not open to receive you, sorry. Reception 8:00 am until 00:00/midnight.